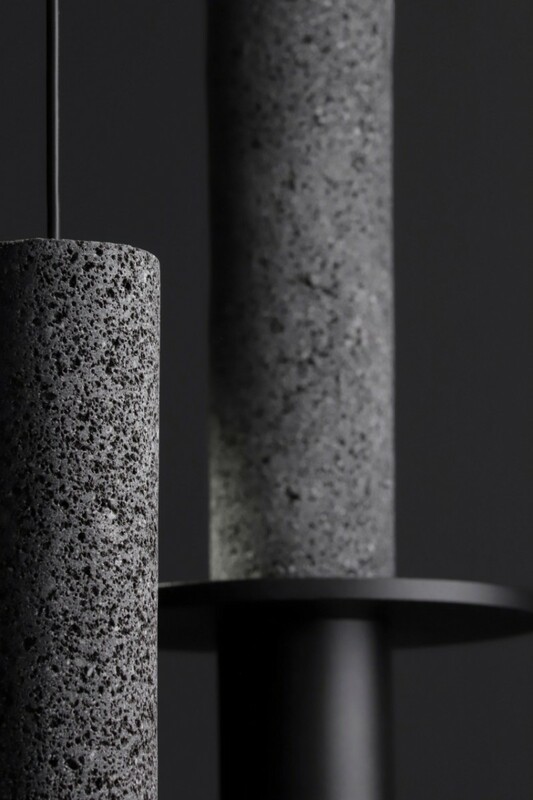 Mexico City design studio Davidpompa has created a black pendant lamp from volcanic rock more commonly used to make bowls for smashing avocado. 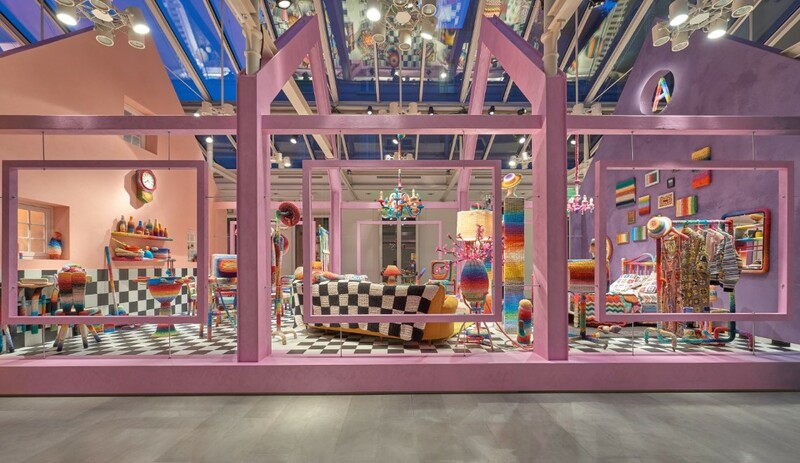 The Austrian-Mexican designer Pompa set up his eponymous studio in Mexico City in 2013, after graduating from product design at Kingston University in London. 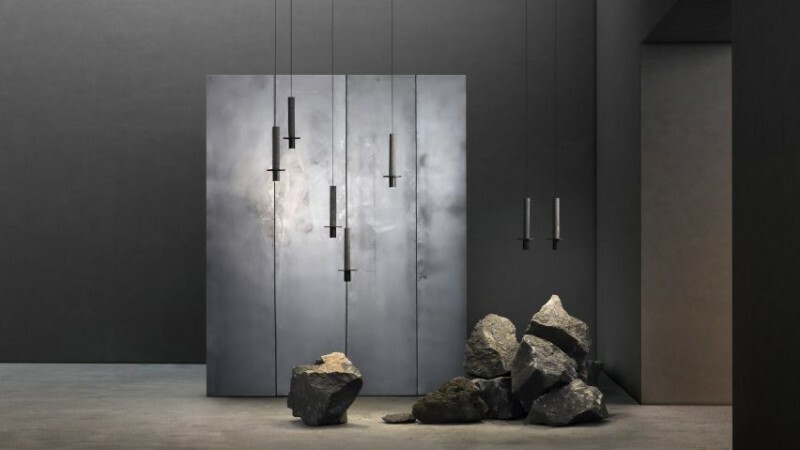 The studio – which has another outpost in Klagenfurt, Austria – recently revamped its showroom in the Mexican capital. 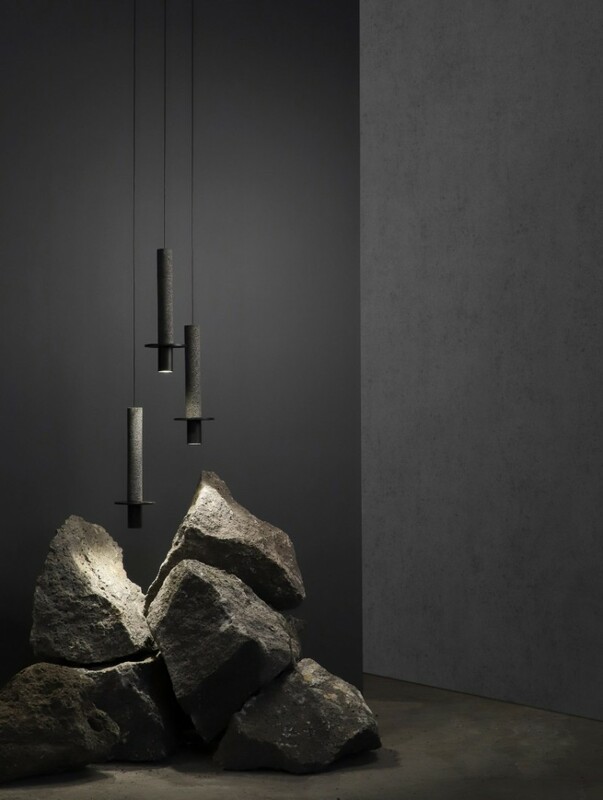 Launching at this year’s Design Week Mexico, Meta comprises a 32-centimetre-long cylindrical pendant volume made from recinto – a black stone that has been used since Mesoamerican civilisations, which flourished in central Mexico between the 14th and 16th centuries. Davidpompa listed applications of the material as architecture, sculptures and kitchen utensils. Examples include the Mexican molcajete – a stone bowl and grinder used for pummelling or mashing food like avocado. 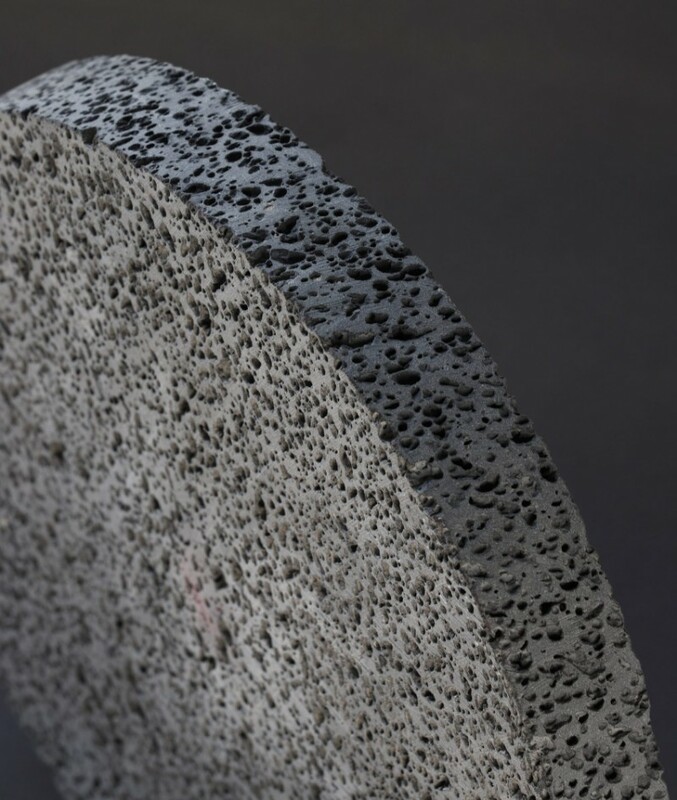 The stone has a bubbling, irregular surface created as lava quickly cools, and was described by the studio as a “distinct and enigmatic material”. 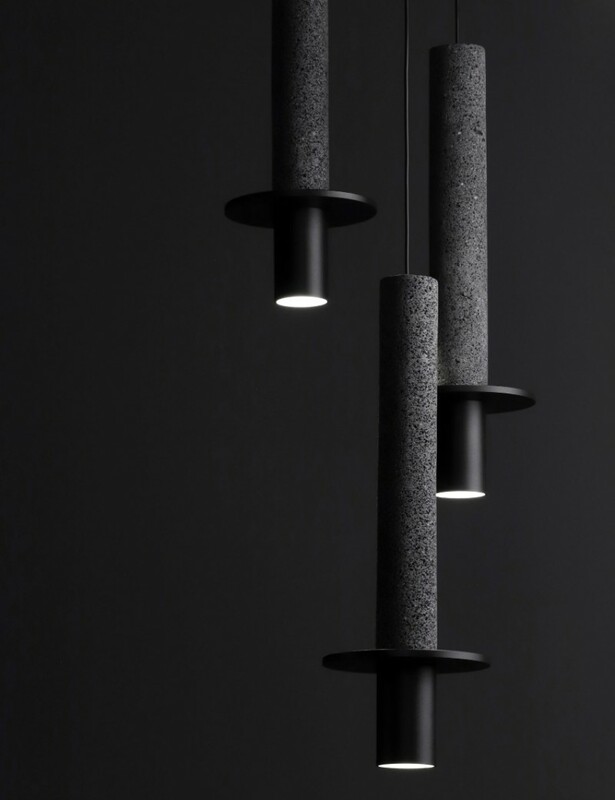 “Rich nuances of dark grey are created through irregular variations on the surface,” said Davidpompa in a project description. 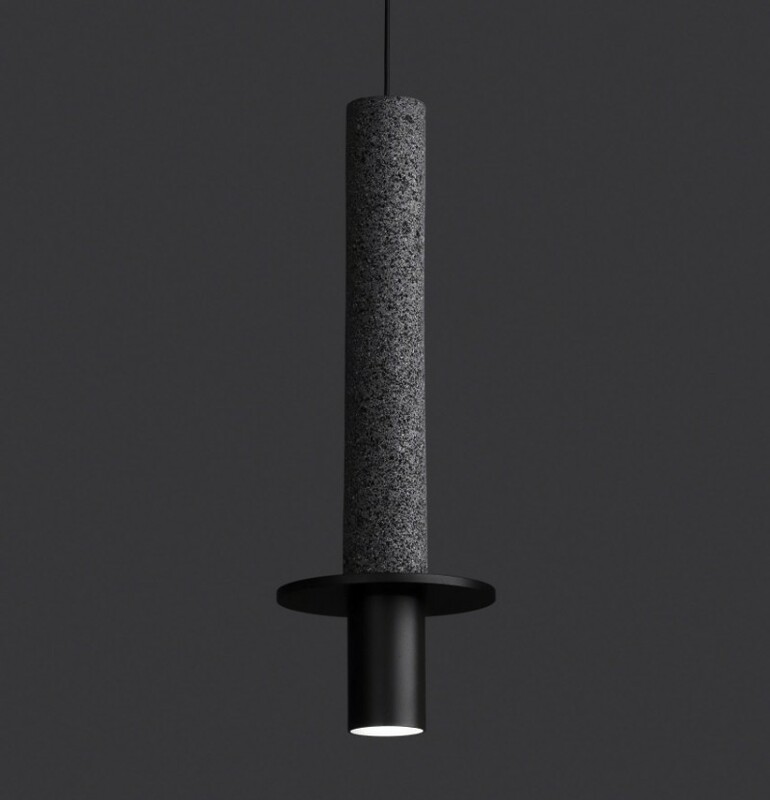 For the Meta lamp, the porous texture is contrasted with a glossy black aluminium tip. This forms both the cylindrical end that holds the light, and a circular disc that acts as a shading device to keep the stone’s finish matte. Davidpompa’s Meta will launch during Design Week Mexico at Diseño Contenido – an exhibition which takes place from 13 to 14 October 2018 at Lincoln Park in Mexico City’s Polanco neighbourhood.